A beautiful green amethyst gemstone ring reminiscent of the light sea-foam green of the ocean in 14k white gold with diamonds. 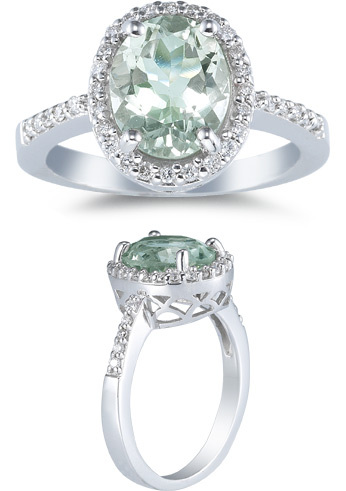 Green Amethyst center gemstone weighs approx. 2.80 Carats. We guarantee our Sea-Foam Green Amethyst and Diamond Ring, 14K White Gold to be high quality, authentic jewelry, as described above.